Together, with our extraordinary donors, Broadway Theatre League delivers more than just fantastic Broadway Shows. Relying heavily on donor support, each year BTL makes the beauty, history and inspiration of the theatre accessible to thousands of under-served people. Donate to Broadway Theatre League to ensure many more years of excellent theatre for all! Your tax-deductible donation today will assure that together, we continue bringing theatre to life for thousands upon thousands more. In exchange for your generosity, BTL offers a variety of donor benefits depending on your giving level. Show Your Support By Making A Contribution! As a non-profit 501c3 BTL’s mission is to entertain and educate. Through the support of our patron and corporate communities, we are able to fulfill our goals. 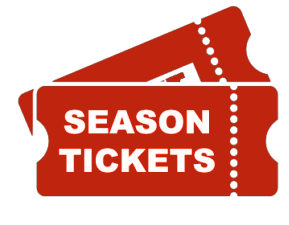 Please consider adding a contribution to your season ticket order. Donations of $15 or more for BTL’s Student Outreach Program will be recognized in a special section of the playbill. Recognition in each Broadway Series Playbill, free ticket exchanges. Patron benefits plus reserved parking in the South Hall Garage. Patron and Applause benefits plus priority renewal seating and Invitations to cast parties. Patron, Applause and Ovation benefits, plus membership to the private Stage Door Club for complimentary hors d ‘oeuvres one hour before showtime (evening shows) and one drink card for 12 beverages. All Patron, Applause, Ovation and Spotlight Benefits plus framed, a cast-signed poster from a 2018-2019 Season Show and one additional drink card.